Past Life Regression Therapy is the one of the most complete therapy tools I have every had the privilege to facilitate. I am able to use all of my gifts as a healer, as a empath and as an individual who ’sees’ into the past and into the future. I am able to hear, see, feel and experience a past life regression as I am truly present with another while they safely journey to reveal or release a part of their past that is still playing out in their present life. How Can Past Life Regression Therapy Help Me? Past Life Regression Therapy can help anyone in releasing deep emotional issues or mental blocks that are interfering with your current relationships, finances, career choices or health. Your Soul desires to evolve, learn about love, compassion, forgiveness and ultimately how to let go. You also carry stories in your DNA and those stories are passed down genetically and energetically. Your frightened reactions to flying or swimming can come from your genetic impressions that are stilled stored in your cellular memory from your great great grandfather or mother. We truly are experiencing a multi-dimensional relationship with ourselves and the world around us, to grasp the totality of what that represents in my job to unravel, explore and educate so that your relationship with Spirit, Mind and Body can be one of enjoyment and pleasure. 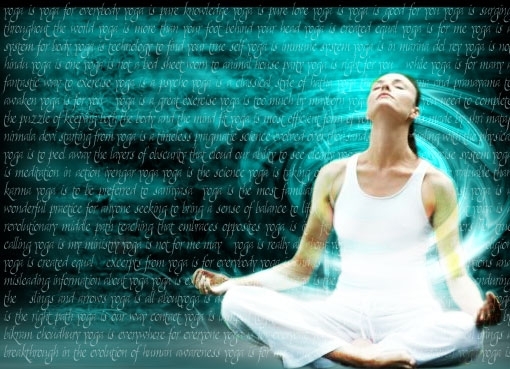 Past Life Regression Therapy assist in healing those wounds, impressions, lack of understanding and brings about clarity and truth to ones existence. you will go to the most appropriate lifetime that is relevant to where you are right now and it will be a direct reflection to what you are dealing with in the present. By this way of Soul selection you are given the keys to the kingdom of exactly what is taking place in your life and WHY. I cannot express my gratitude and awe at witnessing countless lives transformed in one two hour session, or someone who does a 3-6 month program based on releasing their emotional and mental blocks to create a positive and abundant life and relationship with their self. Are you a Certified Past Life Regression Therapist? Yes. Deborah Skye has been trained by Dr. Brian Weiss MD of the Weiss Institute. She has advanced Certification as a Professional Past Life Regression Therapist and continues to advance her knowledge daily by education herself and students globally with the latest information, research and techniques. She is also a Member for the IARRT.org, The International Association of Regression Research and Therapies and is the founder of IAPPLRT.org, The International Association of Professional Past Life Regression Therapy & Training Institute. How Many Sessions Should I Book? I ask clients to book one to two sessions usually within a month of each other to accelerate the depth and speed of healing an issue. When I say issue it can be anything from relationships, career path, finding your true calling in life, soul or life purpose, meeting the perfect mate, or to find out why depression, anxiety and sadness have plagued you for years. Booking your first session is the best step forward in your own personal growth and development, from there we decide what is your best course of action for what you are experiencing, as there are many options available with private sessions, training and understanding your own personal transformation. How Long Is A Past Life Regression Session? Private sessions are for two hours long. The first half hour is dedicated to a personal consultation that is spent in going over your personal information, why you came to see me, what are you seeking in your life and what issues are you concerned about. Our consultation also allows for us to get to know each other better and for me to truly understand why you are needing to release any energetic, emotional, physical or mental miasms, that keep showing up. (A miasm is an energy block in the cellular membrane and through past life regression therapy I am able to see where that is and remove it or release it from it’s core patterning). The regression itself is usually for one hour to seventy-five minutes. Each session is recorded for you digitally and sent to you via email as an MP3. If you have any questions about what will take place, this is the opportunity where you will get detailed information of what is to transpire, and remember every session is unique! No two session will ever be the same, even if you came to see me every day, they would all be different. The best advice is to have no expectations then you will be able to relax, enjoy and go deeper into relaxation and allow anything to unfold. What If I Cannot Be Regressed? Don’t worry, I have had many people say to me that they are not able to go into a hypnotic trance or that they cannot relax. I have been trained by the best experts in the world and have many years experience in dealing with the human energy field and logical mind that it is easy for me to place the attention of an individual into a very responsive and tranquil setting. I also work from a Soul level and speak with your Higher Guides to assist in delivering the best possible session for you in relationship to your Souls Purpose, so I am not doing a clinical regression nor am I just stating an induction, I am connecting with the truth of you to bring about lasting and beneficial change in every session. It is my belief that anyone can be regressed. If you personally have booked a session for yourself, there is a willingness to explore why or how your life is experiencing some unhealthy boundaries or mental anguish, emotional trauma or blocked spiritually. I have witnessed hundreds of women and men benefit from Past Life Regression, why not you? What Happens After Our Past Life Regression Session? After you have received your Past Life Regression Session and listened to your MP3 recording, if you have any questions or would like to know more about your session, you can email us. I usually do a follow up anywhere from one to three months after a regression. If you have booked more than one session, then I we will follow up with you in a week or two to see how things are for you and where you have noticed the shifts in your life, family or work. Some people are so relieved after a session and feel so light that I remind them to take an epsom salt bath after wards to release any energy that might be stagnant. Can I Learn How To Do Past Life Regression For Myself, Family or Clients? Yes, you can learn and facilitate Past Life Regression from the comfort of your own home or office. We offer a Personal or Professional Certification, depending on your own personal needs, and your professional career. This Online Certification Course is for anyone seeking to enhance their connection to Soul – Source and clear their past lives to better enable to live a life on Purpose. If you currently have your own business or practice as a Holistic Health Practitioner, Coach, Trainer, Nurse or Doctor, Past Life Regression Therapy will only enhance your current approach to healing and health, but also enhance your overall client base as many people are seeking a qualified Past Life Regression Facilitator.